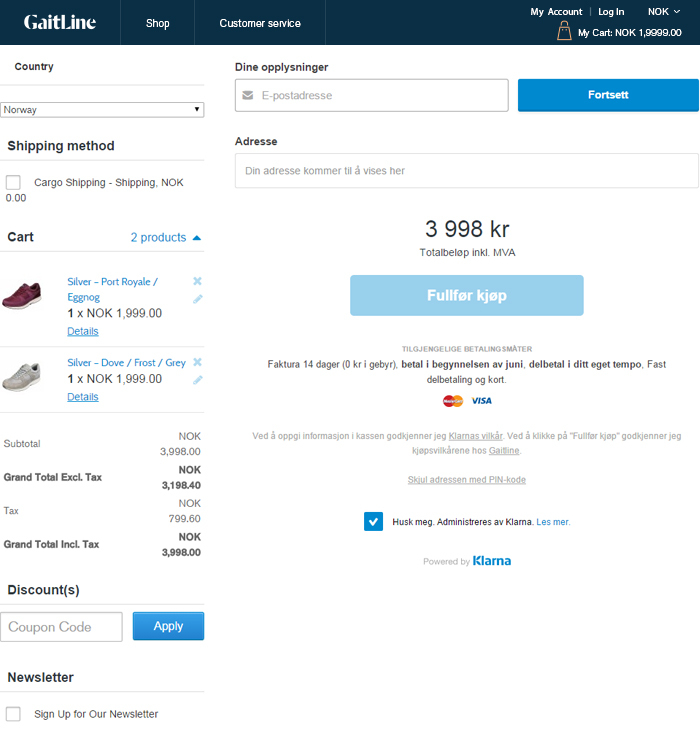 Gaitline is a Norwegian footwear company selling sport shoes to several countries. To boost sales, the company management decided to create an ecommerce website targeting B2B and B2C customer groups from different countries. 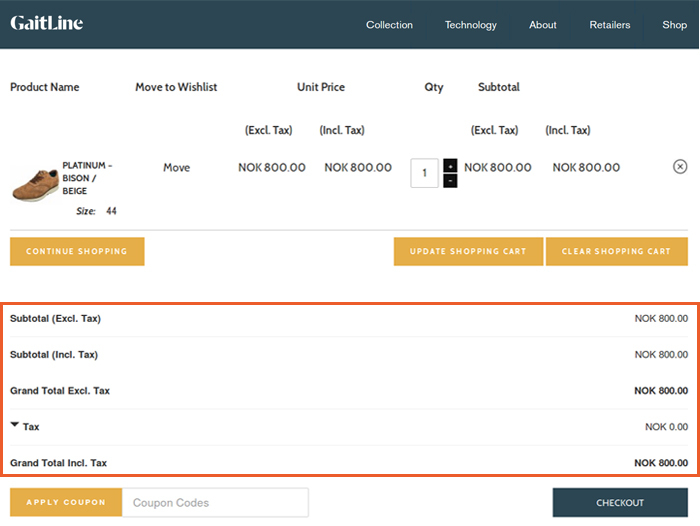 The store is pretty standard in terms of front-end functionality, but there are a few back-end features that required custom Magento development. 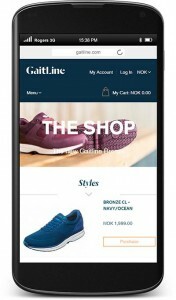 Gaitline is set up as a multistore Magento site: one Magento installation manages 7 websites targeting customers in different countries. Each site has its own default currency — NOK, AED, DKK, EURO, GBP, SEK and USD. This kind of website structure allows the admin to set up different pricing for products and bill the customer’s credit card with the local currency instead of the default store currency — respectively, no currency conversion is involved. 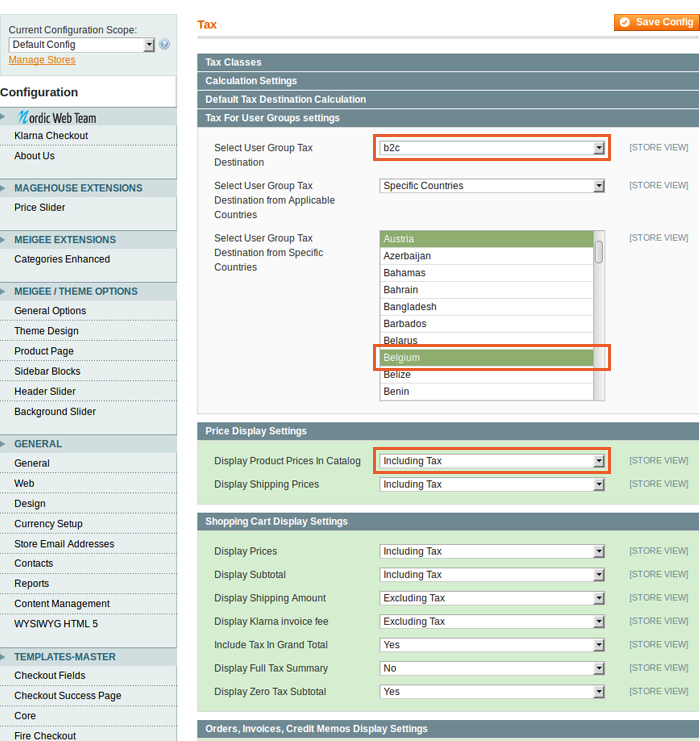 To avoid customer confusion and save the shopper one action (switching between the sites depending on the selected currency), we have installed an IP detector extension that identifies the shopper’s location and automatically redirects him to the respective site. 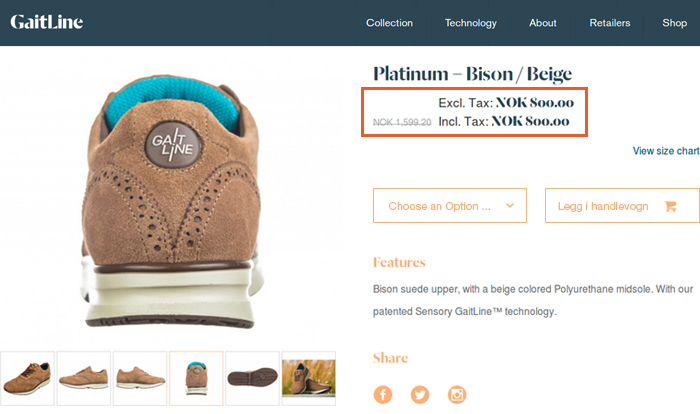 For example, if the customer from Norway wants to buy shoes and lands on Gaitline site, he sees the NOK website, and when he makes a purchase, the order amount is charged in Norwegian krones. In order to minimize manual order handling our client requested integration with Prime Cargo: it’s a logistics supplier that improves order fulfillment providing an automated process of picking up goods from the manufacturer to delivering them to the end customer. 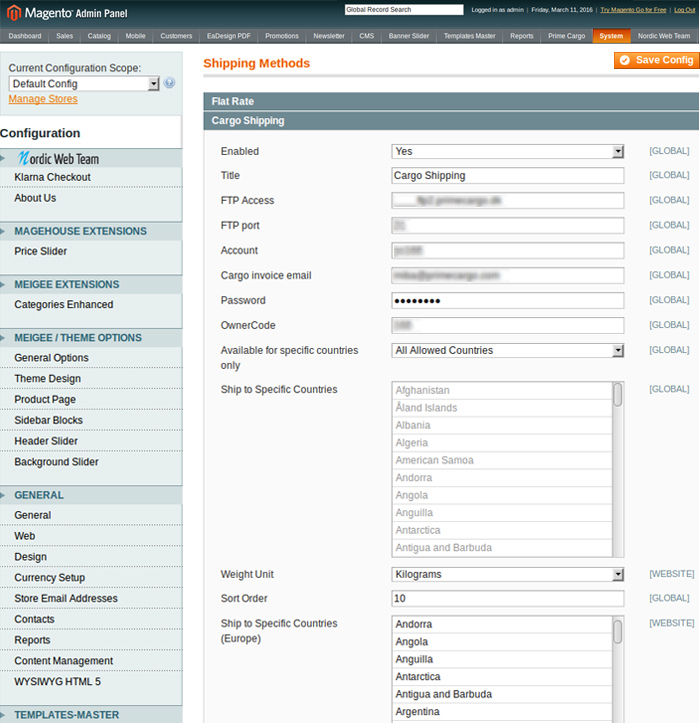 We developed an extension according to Prime Cargo documentation which seamlessly integrates Magento with Cargo and doesn’t require any manual order management. One of the features of our extension allows to change the shipping price depending on the shipping country: Europe – free, North America – $19.90, and rest of the world – $29.90. We developed a tax extension that allows to configure unique tax display settings for each user group and for the countries within each group. For example, if a B2C user is making a purchase in Belgium, he lands on the Euro website where the prices are shown including the taxes. At the same time, prices for B2B customers in Belgium can be displayed without taxes. 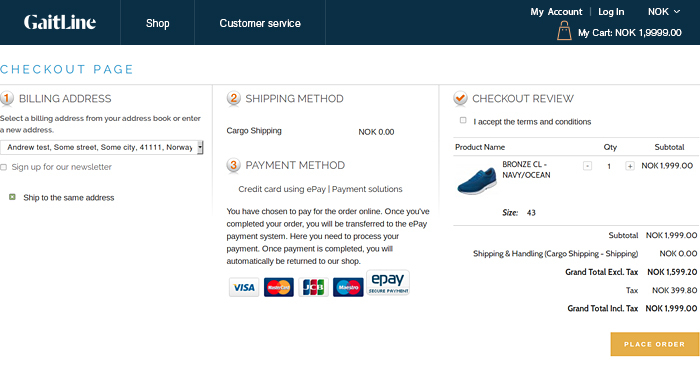 For users from B2C group we show different checkouts depending on the shipment countries: for Norway, Denmark, Sweden — it’s Klarna checkout, for the rest of the world it’s Firecheckout. After the website launch the client continues to develop his dealers network and increase sales with the help of “agents” selling the shoes. 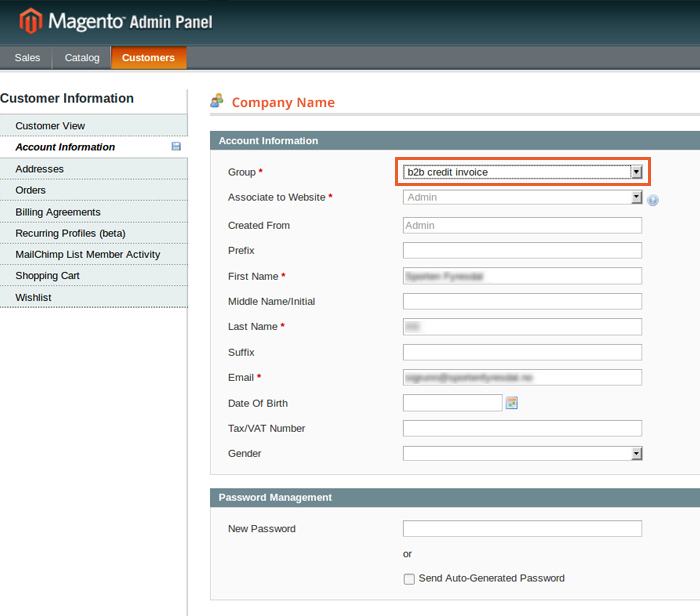 We developed a functionality that allows to create “Agent groups”, assign “Agents” to these groups, provide ability for “Agents” to add new customers, as well as adding orders for customers directly in Magento. 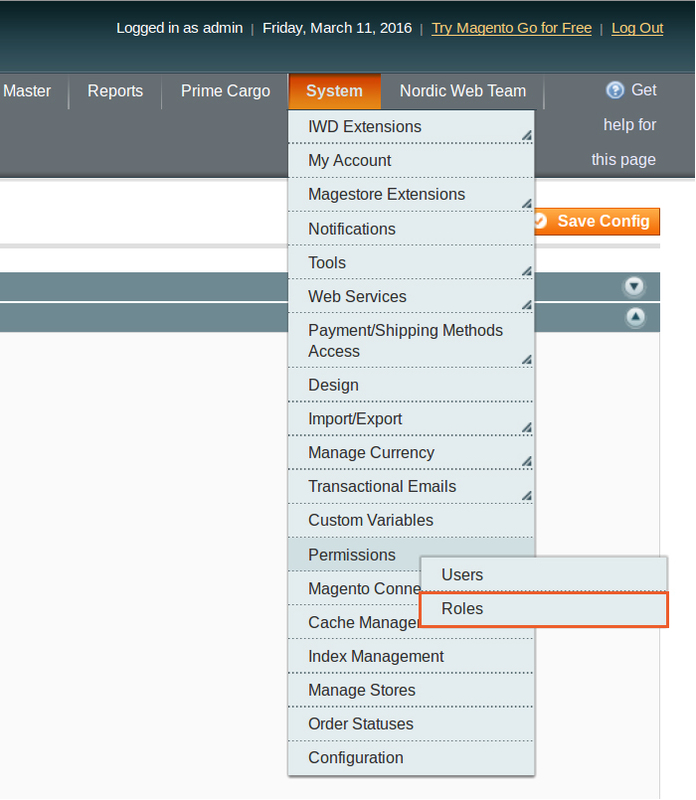 We extended the default Magento “User Roles” functionality, so the admin is enabled to create a role – “Agents” and assign Agents (Users) to the Agents group. Also the admin can set up different permissions for the Agent group. 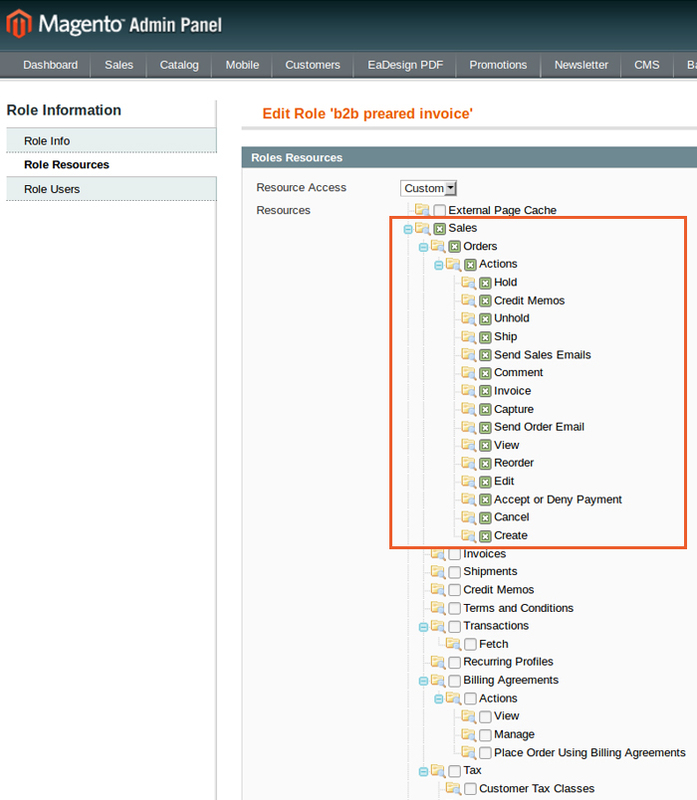 “Agents” have access only to their own “area” within Magento. Specifically, they can see only “Customers” and “Orders” within their group. The information of other Agent groups is hidden from them. Agents can also create their customers and place orders within one of the created B2B groups — B2B credit invoice or B2B Prepaid invoice group. The site design is adapted for the most popular screen resolutions. Users can easily learn more about the products on their mobile devices before buying them in-store and have no troubles using the site during purchase procedure. If you want to see more projects implemented by Magecom, please visit our portfolio. To get an idea of your project budget and its timeline, just drop us a line.